The final tallying up of the responses of the recent poll we conducted with the Membership has been conducted and produced a close outcome. 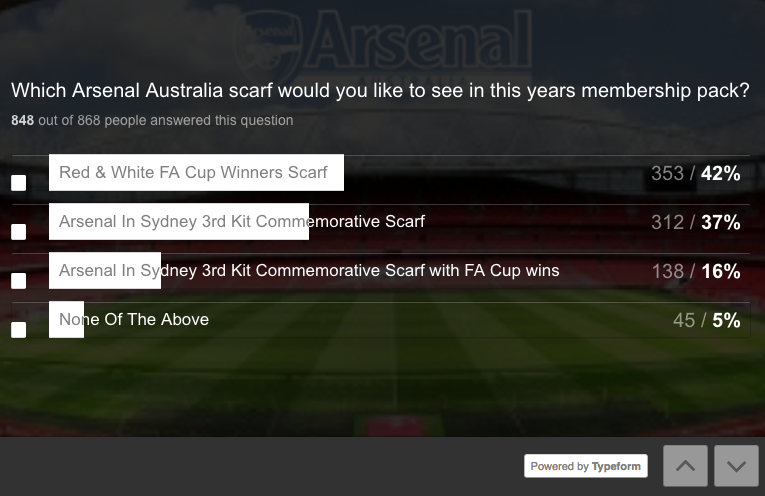 The winning scarf selection was the 13 FA Cup wins scarf, just ahead of the pink and black Arsenal in Sydney scarf. The new scarf has already been ordered and will be received soon in readiness to send out to renewing and new Members.